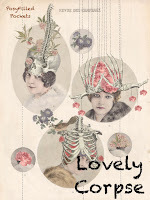 All throughout history, death has inspired finery and fashion for both the dead and the living. 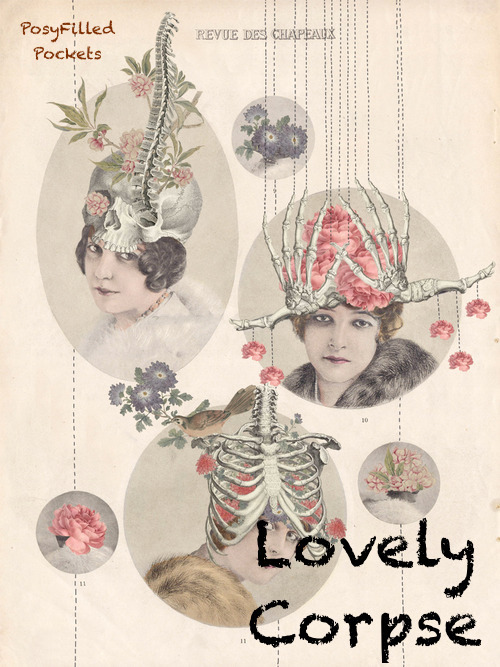 Join us as we look at the stories behind some of death's most fascinating vanities, those who chose beauty over longevity, the glamourous world of celebrity stiffs, and funeral fashion trends. After the talks, we will be showing a documentary about a fashion designer who designs custom made bio-degradable burial garments with client family participation. Film Screening: SOUL - A documentary about Pia Interlandi and her "garments for the grave". Pia Interlandi is a fashion designer that creates beautiful, custom death shrouds, working along with the living to create an intimate, personal garment for her client's end of life. 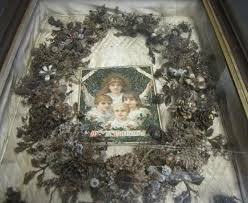 Please join us at the Chapel of the Angels Mortuary & Crematory for an induction into the world of Posy-Filled Pockets. An introduction program filled with delightfully demise-themed presentations, Breathing New Life Into Death is your initiation into the revolution that is demystifying death. There will be a Q&A at the end of the presentations, and we will be asking you for feedback, so bring your idea hat. Or flask. Whatever you like to call it. Hey! You! Death Nerd! We want to hear you nerd out about dead stuff! Posey-Filled Pockets will be holding a very casual gathering to meet and greet with anyone interested in our kooky plans. We want to hear your input, your wish lists, and your pitches to join us as presenters and educators. We want to badger you into becoming a part of the evolving death conversation in a weird and wonderful way. We want to introduce you to like-minded people who won't step slowly away from you when your enthusiasm for Victorian funeral hair art with be appreciated, and met with equal enthusiasm. Come meet us, we're charming, pleasant, and there will be beer and index cards and merriment.